Insects are all around us. In most instances, garden insects are not a threat to your lawn. However, it’s important to understand which ones are friends to our yards, and which ones are pests that could damage your landscaping or grass. The common lawn pests that feed on your grass divide into two main categories base on where they feed, surface feeding and sub-surface feeding. Surface feeding insects are visible to the naked eye, which makes it easier to spot them and easier to control. Sub-Surface feeding insects are common lawn pests that feed on the roots, which make detection much more difficult. Here are some common lawn pests to that could cause damage to your lawn. Chinch bugs are the most prevalent of the surface feeders. These common lawn pests can cause widespread damage if not controlled. They can create irregular patches of dead or yellowed turf and are especially damaging during hot, dry summers after a dry spring. Early detection is critical to preventing damage to your lawn. Sod webworms, sometimes referred to as “lawn moths,” eat on grass leaves near the soil’s surface. If you notice small moths flying around your mower in a zig-zag pattern, those are Sod Worms. Unlike many insects, the larvae are the problem-causers. In the larval stage, the sod worms come out at night to feed, but the damage is often masked by new growth until there’s an infestation. 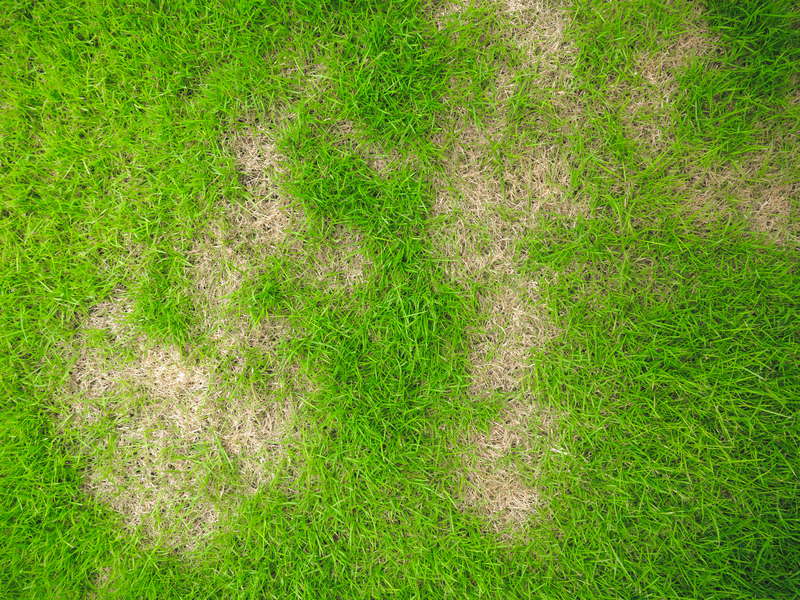 Once the grass goes dormant, one of the first signs of an infestation is small, ragged brown spots in the turf. These common lawn pests are most active from early spring through the fall. The most severe damage usually occurs in mid to late summer. Billbugs are weevils that spend their winters hiding in leaf litter along the edges of the yard. In the spring, they migrate to the lawn to lay eggs in the grass sheaths. In larvae form, they are legless grubs that have copper colored heads. The newly hatched grubs feast upon the growing point of the grass, which kills grass. Detection is difficult since they are very small and located deep within the thatch layer of the lawn. While proper mowing, watering, and fertilizing will strengthen our lawn and deter damage from these common lawn pests, regular inspections are the best defense. Call us today at (479) 502-2192 for a free estimate if you see signs of lawn damage or need a lawn care service plan.